Heavily cropped but otherwise fairly straight image from my rather new Sony Alpha 6000, meaning I haven’t taken as many pictures with it as I would have liked. I used a heavy Sepia preset in Lightroom, the lighter tone didn’t give it the warmth I was looking for. Very slight curves adjustment, the exposure and contrast of the original looks very nice. 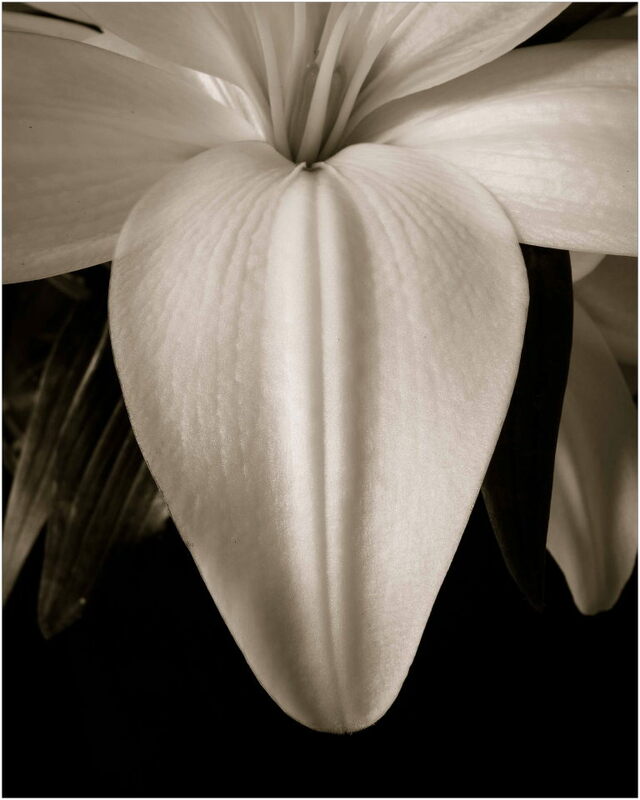 Lilies have an interesting texture, almost like fabric and very translucent. I used the clarity slighter in Lightroom, taking it in to the negative to take the edge off of the texture. It also had a shine that I didn’t like.